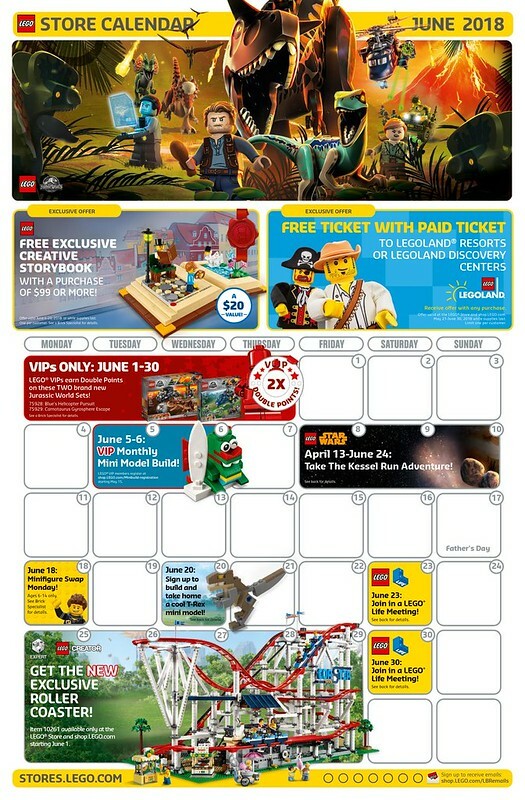 The June 2018 LEGO Store Calendar is now available and we can now see some of the promotions and events that will be happening during the month. 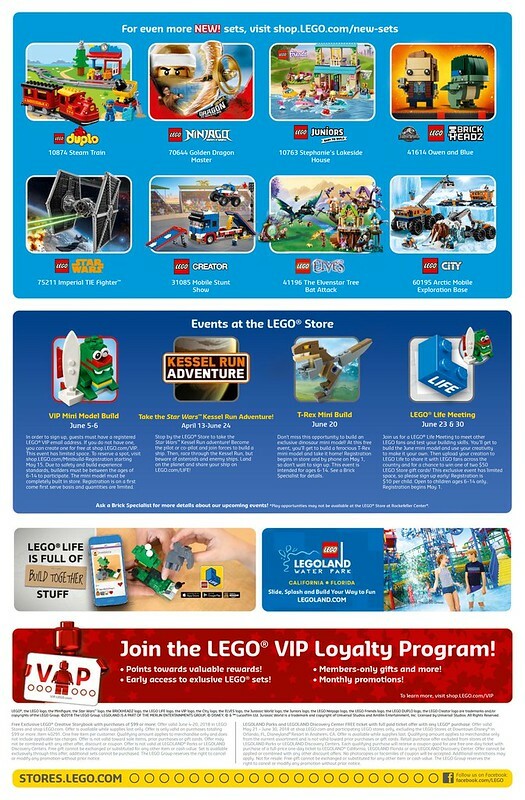 June 1-30: VIPs get Double Points on Blue’s Helicopter Pursuit (75928) and Carnotaurus Gyrosphere Escape (75929). 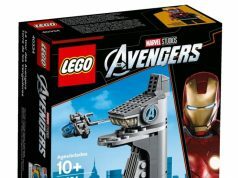 June 4-20: Free exclusive Creative Storybook (40291) with purchase of $99 or more, while supplies last. June 20: T-Rex Build and Take mini model. Registration begins on May 1.